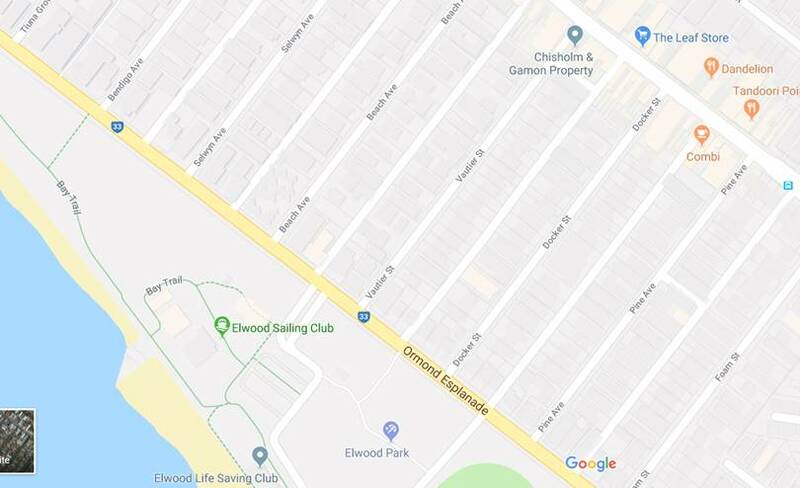 Elwood Sailing Club is located on the Elwood Foreshore (between the Life Saving Club and the Elwood Angling Club). Our location at the Elwood Foreshore puts us at the centre of the metropolitan beaches within easy access to a large area of Melbourne. We have favourable sailing conditions through the season and fresh summer afternoon summer sea breezes to the delight of our free sailing Windsurfing members. Our facilities include boat and sailboard storage, race tower, change rooms, hot showers, balcony, patio, barbecue, bar, canteen, and function facilities. In front of the club house are lawns and paved areas for rigging with ramps to a sandy, wide beach for launching. A club only trailer parking area is immediately next to the club. Ample public car parking is adjacent. Tickets for foreshore parking are purchased from parking ticket machines, however ESC members may apply for all-day foreshore parking permits from the City of Port Phillip (click here for Foreshore Club Parking Permit Application). If you have a specific query, have a look at the list of ESC Committee members and Club Volunteers below.